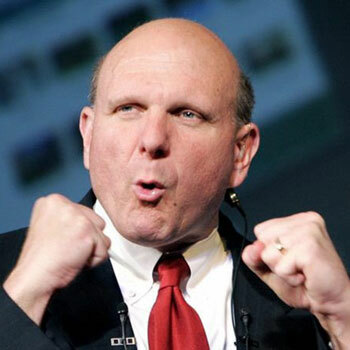 After Microsoft’s long-serving CEO Steve Ballmer announced that he will retire in the next year, technology industry analysts were quick to report that the company will be ‘on the way up’ after a decade of slow, unresponsive leadership. The reality, however, is that Microsoft’s performance and development under the leadership of Steve Ballmer has been anything but the slow, uncreative image that the technology media has been eager to portray. With Windows 8 released and a massive network of enterprise customers to work alongside, Microsoft sits in a very different position than its ‘upstart’ competitors – companies that the tech news media has constantly showered praise on. Ballmer, at the heart of Microsoft’s management team, understood that the company had far more to lose in the current environment than its competitors, and built most of its operations to limit its potential losses to upstarts and tech underdogs. As a result, the company has aggressively innovated, albeit in a very different way from its competitors. While Apple favoured gradual innovation – a move from the iPod to the iPhone, and the iPhone to the iPad – Microsoft made very large leaps. This has caused the company its own share of controversies and bad decisions – the sudden leap from Windows XP’s comfortable interface to the cluttered, difficult look of Vista, for example – but has also won it plenty of victories. Kernel Mag recently published an excellent analysis of Ballmer’s tenure as Microsoft CEO that showed he too, like his competitors in Silicon Valley, could innovate just as well as others in the technology industry. While Ballmer’s departure from the company may have been branded as a victory for innovation and a failure for Microsoft’s long history of ‘sticking it out,’ the man who pushed Microsoft forward for 13 years had a lot to offer the industry.